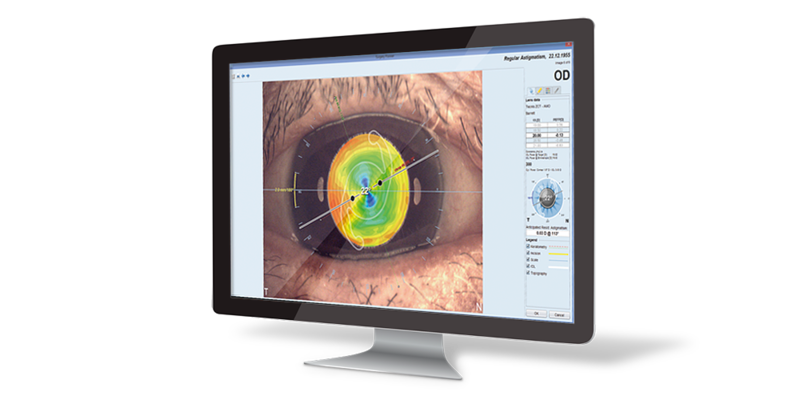 EyeSuite IOL offers latest generation IOL calculations such as the Hill-RBF Method, Barrett and Olsen for standard IOL, enabling improved results with any patient. It further includes a comprehensive set of premium post-refractive formulae, including Barret’s True-K and the Masket formula which are regarded as best in class. For torics it optionally offers a complete planning suite to calculate the implant, considering the front and back of the cornea and create intuitive surgery sketches, enabling excellent transfer of the plan to surgery.